I'n not sure how widespread these are, New Zealand gets some weird models. 2007 Ford Fairmont Ghia BF. Some mechanics had a go at this seat. All the up and down and tilt controls work - forward and reverse don't. When you press forward it jumps backward a step. If you press backward it jumps forward a step. I found a site that mentions a test procedure with "beep" codes. here . I can't get any beeps out of it but there is a light that flashes on the seat switch itself. 2...3........2...3......2..3. 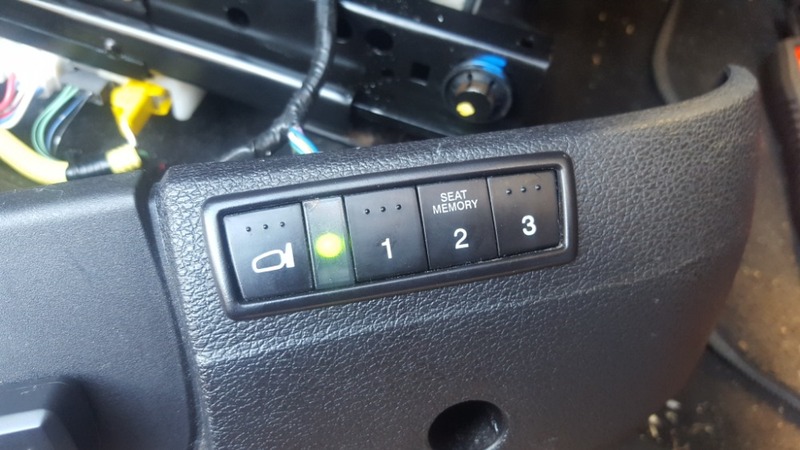 Code 23 is either "lost contact with right mirror" for the mirror controls or "no track motor sensor" which makes more sense. I can imagine that if the sensor isn't picking up that it is over the rail it would jump backwards each time to try to find that metal plate. built in under the seat. I can also see those wires going out the side harness from the seat. The fact that they have nothing on them according to the scope suggests to me this is the reason we have a problem. But then I'm wondering if that means we have a problem at the BCM and why on earth doesn't it just go into the seat memory module?